The close of the 2013 season marked the end of a long era of dominant relief pitching in the Bronx. Mariano Rivera, who reigned as the New York Yankees’ closer since 1997, decided to hang up his cleats and infamous cutter—for real, this time. Luckily for the New York Yankees, however, the team had closer-in-waiting David Robertson in tow. Robertson, 29, owned a 1.91 ERA (versus a 2.31 FIP) and 3.58 strikeouts-to-walks ratio from 2011 to 2013 while setting up for the future Hall of Famer. As expected, Robertson’s transition to closer in 2014 has been a natural one, tossing a 2.40 ERA (versus a 2.32 FIP) and 7.67 strikeouts-to-walks ratio for 11 saves over 15 innings. 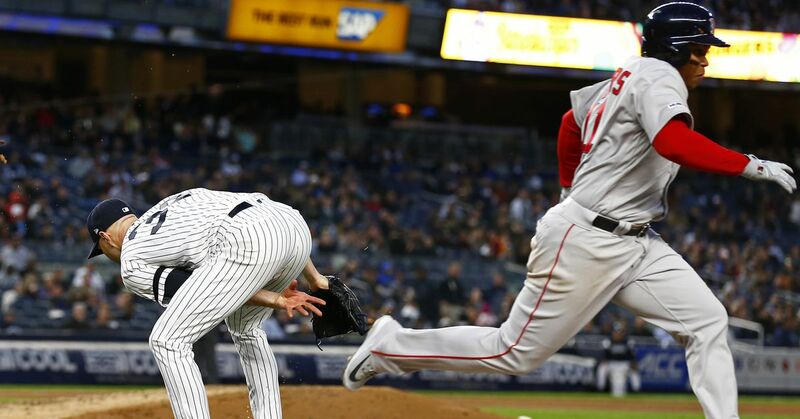 Yet, even though the right-hander’s dominant performance has put the Yankees at ease, perhaps the rise of Dellin Betances has been the bigger bullpen story in New York this season. Prior to 2014, Betances, 26, had been a non-factor and in many ways, even considered a bust. In fact, since 2007, Betances has missed a combined 323 days total between the minor and major leagues. And over his first 7.2 innings in the majors (during cups of coffee in 2011 and 2013), Betances owned an abhorrent 9.39 ERA (versus a 5.13 FIP) and 1.50 strikeouts-to-walks ratio. Even in John Sickels' preseason 2014 rankings, Betances was only named the 14th best prospect in the Yankees' system, with an unspectacular C-plus grade. But the Brooklyn native has surprised fans and critics alike, pitching to the tune of a 1.48 ERA (versus a 1.01 FIP) and 5.67 strikeouts-to-walks ratio over 30.1 innings. Betances has been particularly impressive in the strikeout department, too, sitting batters down at a 15.1 strikeouts-per-nine-innings ratio. The right-hander’s high strikeout total is in part due to him harnessing a wicked fastball, which averages 95.6 mph, per PITCH/fx. But according to FanGraphs’ Jeff Sullivan, Betances’ knuckle curve has been his bread and butter. Hitters have swung at 36% of Betances’ breaking balls out of the zone. They’ve swung at 31% of Betances’ breaking balls in the zone. According to FanGraphs, opposing hitters are whiffing at a 14.2 percent clip and making contact with just 38.7 percent of Betances’ non-strike pitches. [H]itters are missing pitches out of the zone. They’re not offering at many pitches in the zone, and when they do, they’re also fairly likely to miss. This is what a perfect stat line would look like. While the Yankees haven’t been known for building from within since the 1990s, general manager Brian Cashman has quietly formed one of the league’s best bullpens without dipping into free agency. Betances, Robertson, Adam Warren and Preston Claiborne have combined for 84.8 percent of the bullpen’s positive fWAR. And the bullpen’s 3.32 FIP and 10.49 strikeouts-per-nine-innings ratio rank as the ninth and first in the major leagues, respectively. 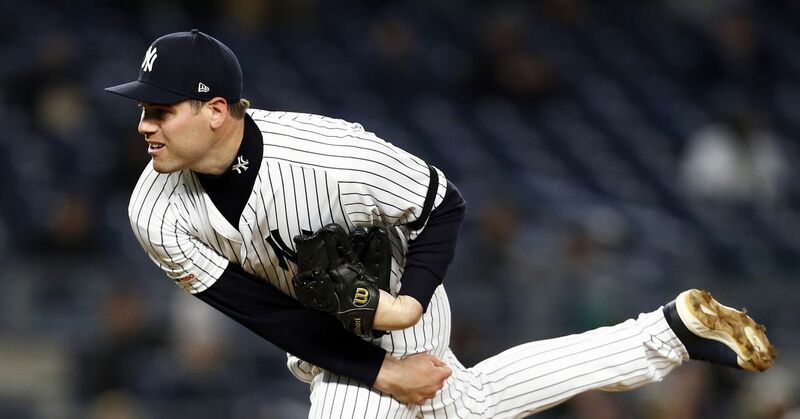 With Robertson primed to be a free agent at the end of the season, the Yankees could conceivably let the soon-to-be-wealthy reliever have at it in the open market. After all, it’s not the first time the Yankees have let a veteran reliever go (John Wetteland) while letting a young gun cut his teeth in the ninth (Rivera). FIP and fWAR statistics sourced from FanGraphs.